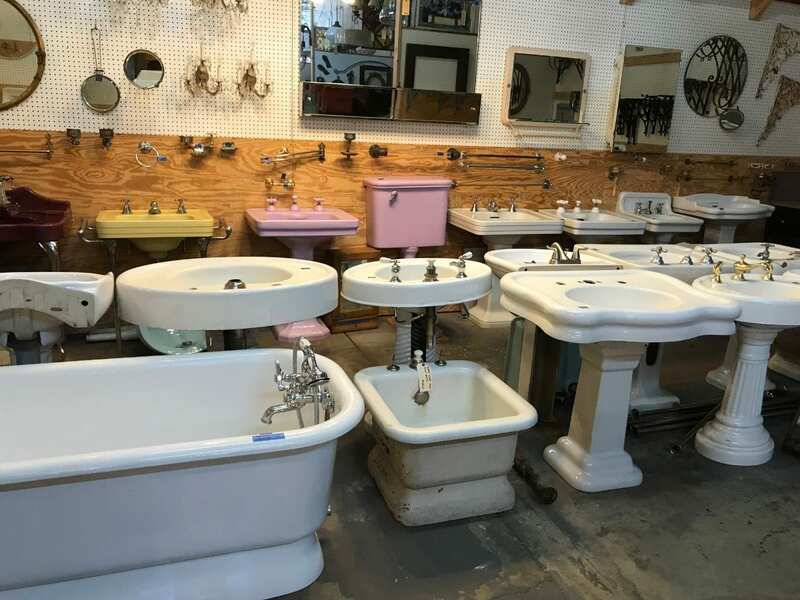 Columbus Architectural Salvage is the most unique store in the city. 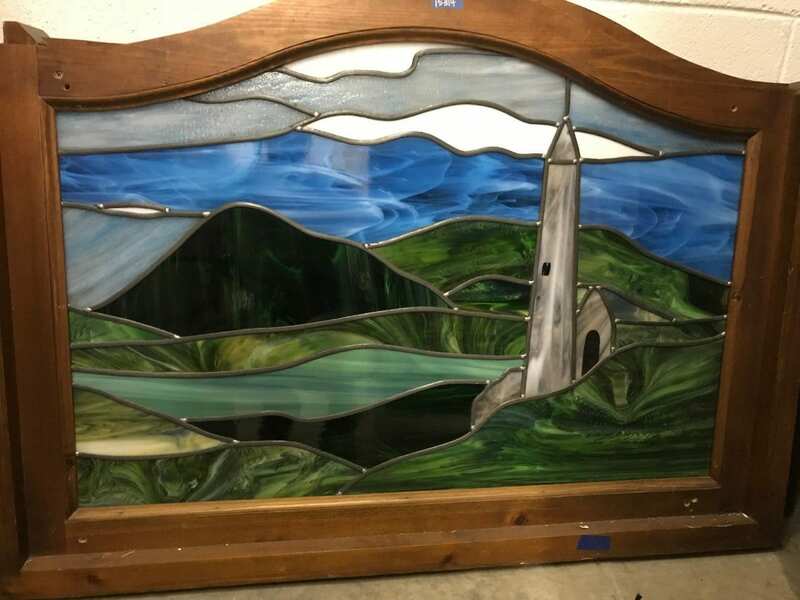 Full of salvaged (duh) items from historic properties, nearly every item is one of a kind. The store opened in 2006, so it’s well established, but it wasn’t until recently that I became its biggest fan. My house was built in 1925, and while it’s charming and solid, a lot of things go wrong. Often. So when we were hoping to replace our vent covers, this was our first stop. Did I buy vent covers? No. But I bought like 5 other things instead…even though they had said vent covers. I stopped by again last week, and the finds were just as exciting as ever. Here’s a look at what’s available in store now. This was hard to leave behind. I may or may not have whispered “I love you,” as I passed by it on my way out the door. I feel like this would make the perfect kitchen island. The top was solid butcher block, and all of the drawers slid open with ease. It would also work well as an arts & craft supply station, for kids or adults. 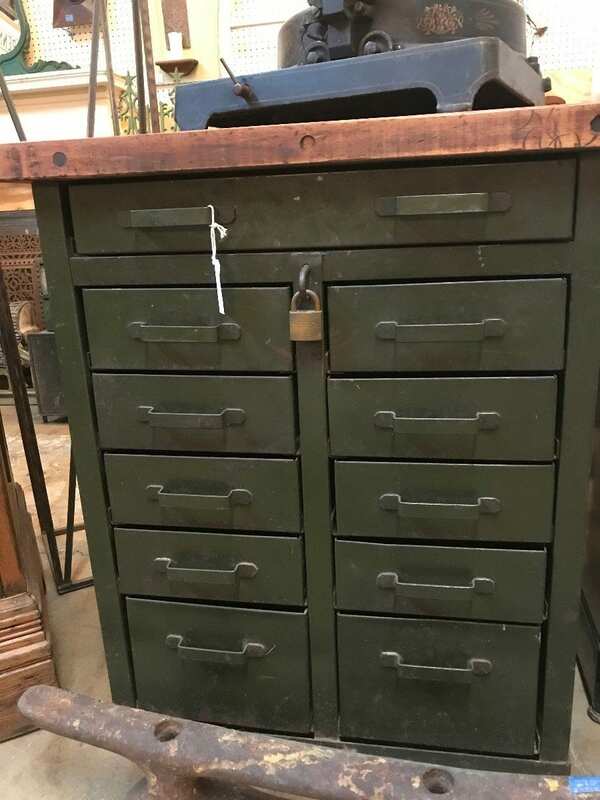 Just think about all of the organizational possibilities with those drawers! I loved how these molds were displayed on the mantle, and I liked how there was both a right hand and a left hand. They’re not creepy. Really. A long time ago, my mom (who is kind of my home decorating Jedi) told me that you should always decorate with things in odd numbers. So you need all three of these. 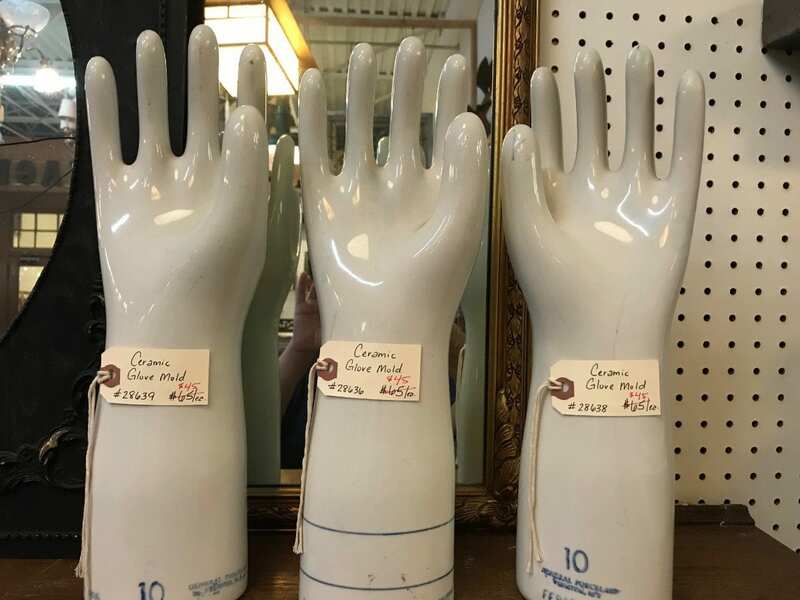 I think they’d also be great jewelry holders on a nightstand or dresser, acting as purposeful decor. It was fun to dig through these, looking for any that might have sentimental relevance. A familial last name, a childhood street. I didn’t find any this time, but there was at least one “Ohio Ave.” I also almost bought the “Skyline Rd” as an homage to Ohio’s famous chili-maker. 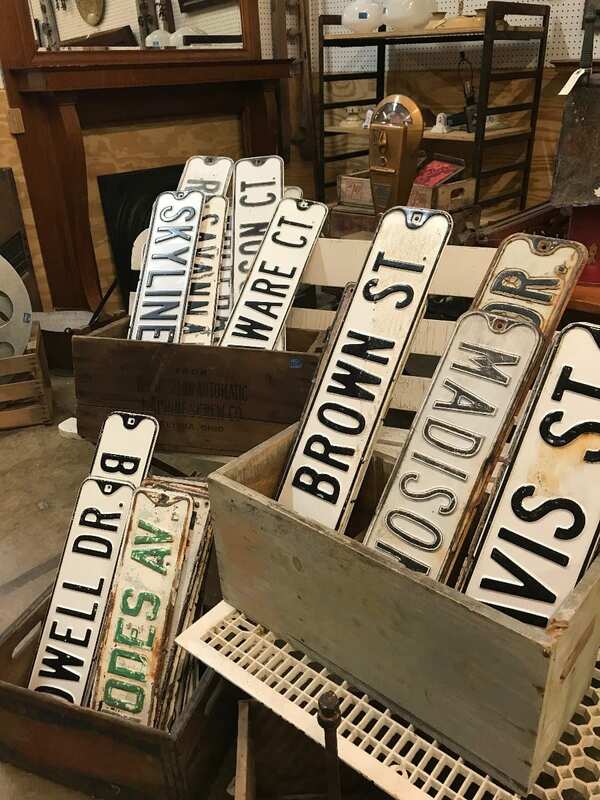 I think it could be fun to make an accent wall in a kid’s room with old metal signs and license plates, of which there’s plenty in store. Be. Still. My. Heart. But, don’t tell my husband. We have two sets of lockers already, and our home is not large. I think they’re charming, but also useful. Who knows what you have stored inside, or if it’s actually organized at all? 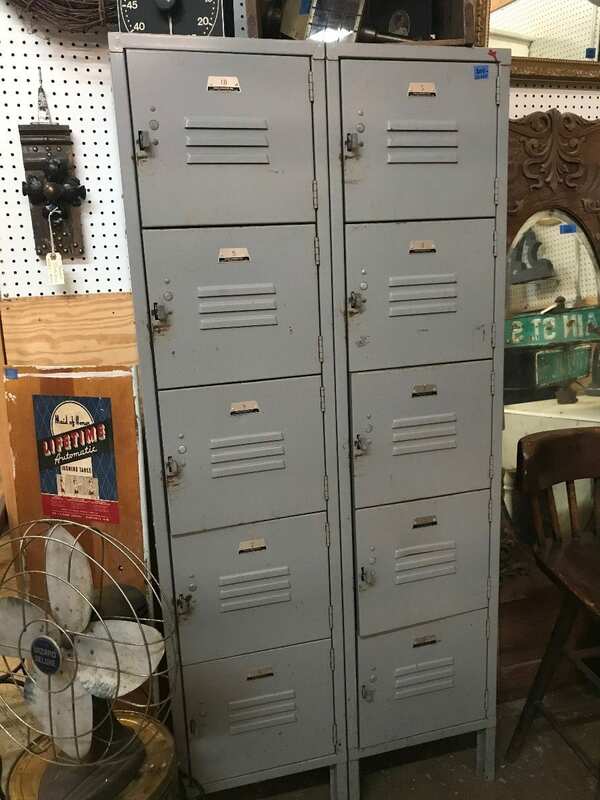 Lockers are a great option if you want to just shove stuff inside and make your house appear to be the epitome of organization. Lockers in the entryway of your house, to store shoes and coats (which, yeah, I guess is the purpose of them) gives you dedicated, easy storage space, but with a trendy slant. No, sorry, they did not have a full set when I was there. But they were still right up my alley (ugh, I just bowled myself over with that one). I thought these would look cool in an inoperable fireplace, or alternatively, hung on the wall in a rec room or finished basement. Another kind of low-key cool way to decorate with these would be as a doorstop in an office. So another plus of CAS, is that they will often post inspiration photos near the items that are for sale. 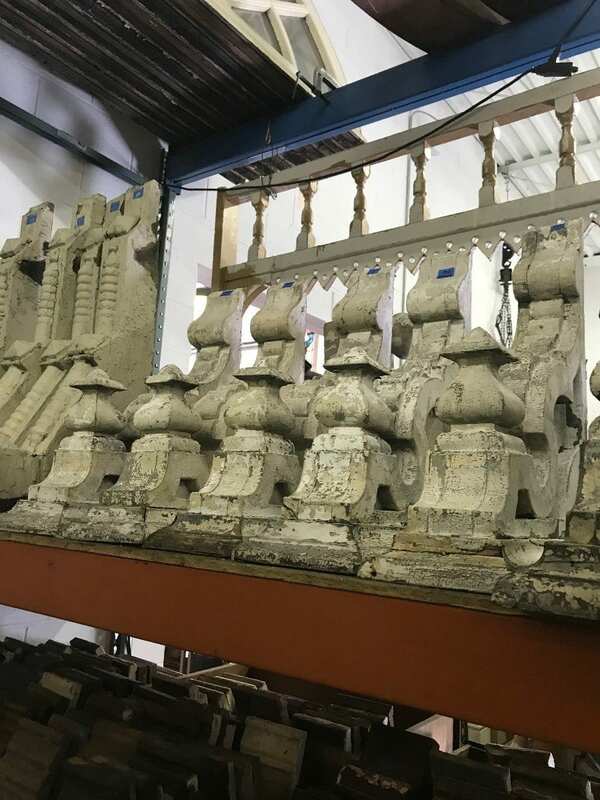 For instance, they have a lot (a LOT) of corbels for sale, so they’ll show pictures of them upcycled or rehung in someone’s finished project. 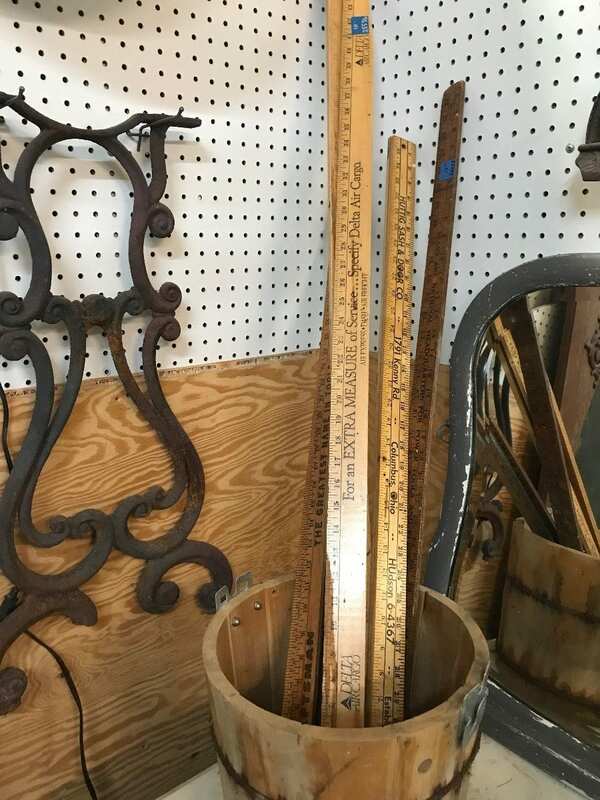 While they didn’t have a photo with these yardsticks, a quick Pinterest search gives you several ideas. Obviously, you’d need a lot of them to do an accent wall, but they’d have a really cool shiplap appearance, paired with otherwise white walls. I like the idea to use them as the risers on stairs, or creating a new table top to update something you already have. We are lucky enough to have a fireplace in our home, and even though it’s an old inoperable gas one, I love the centering that it provides our living room. Like every #basic suburban lady, our TV is mounted above it and it helps to ground the room. I love it so much, I wish we had one in our bedroom. This is the perfect solution. 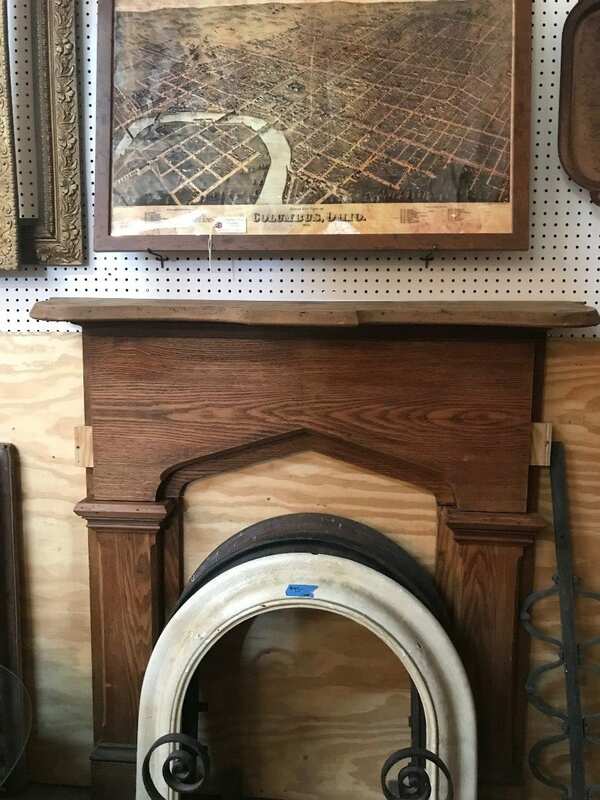 While obviously, you could buy one of their vast mantle selection to add to an existing fireplace, I love the idea of “creating” a focal point where one didn’t exist. I’d put this in our bedroom, and paint the opening a contrasting color, then decorate the top…and probably mount a TV, who are we kidding. 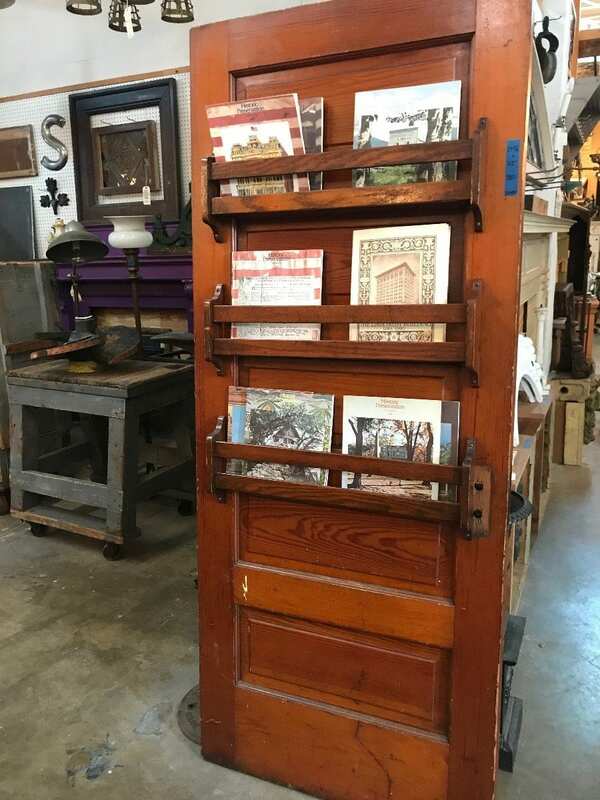 This vintage door turned bookshelf is a great conversation piece, and a nice alternative to a traditional bookshelf. Mount that bad boy to the wall in a children’s bedroom and fill it with all the classics, Goodnight Moon and Go The F*ck To Sleep. Swoon city, people. 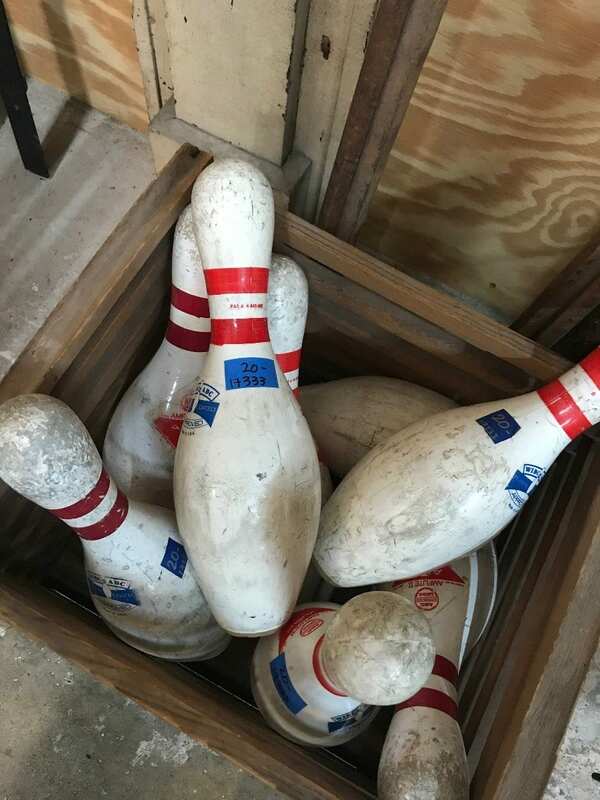 Can you think of a room these wouldn’t look good in? I sorta envisioned them at the foot of the bed, in lieu of a chest. We all have “The Chair” in our rooms, right? For the laundry that isn’t dirty, but maybe you might wear again…or haven’t felt like putting away. At least with these, “The Chair” would be so beautiful, you wouldn’t want to cover it in clutter. You could sit down, and put your shoes on, all while admiring your ingenuity. 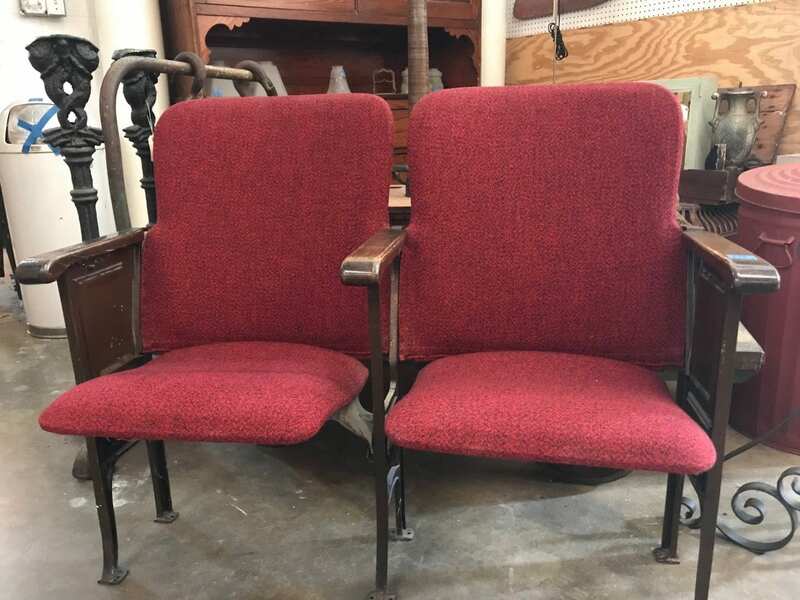 If you have a finished basement or den where the family gathers to watch movies, these would make a great addition as well. I loved the patina on this mirror, and the ornate details. It was fairly large, I didn’t take measurements but maybe 2’x 2′ or so. 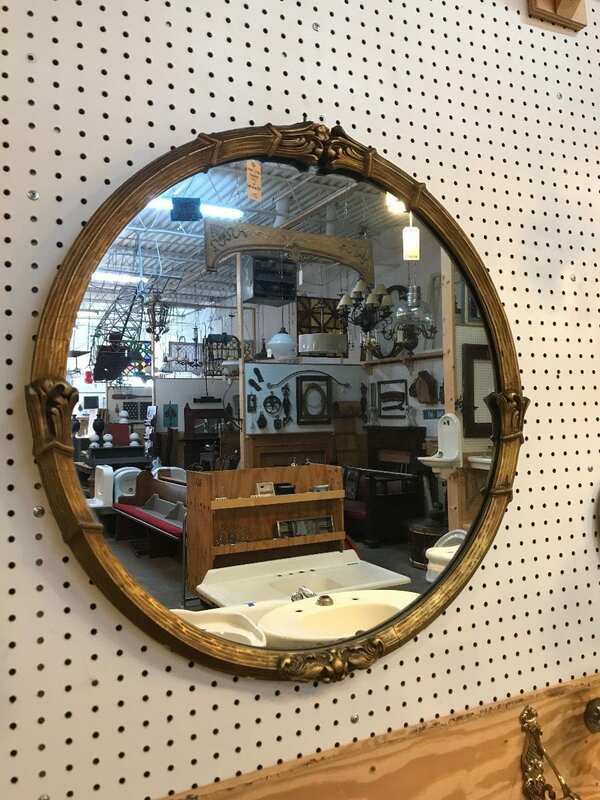 Obviously you don’t need me to tell you what to do with a mirror…but I can’t help but think of how fantastic this would look hung on a navy blue wall. I’m drooling. It’s so gorgeous. Please buy it, paint your walls, nay, your entire home navy, and send me a photo so I can live vicariously through you. 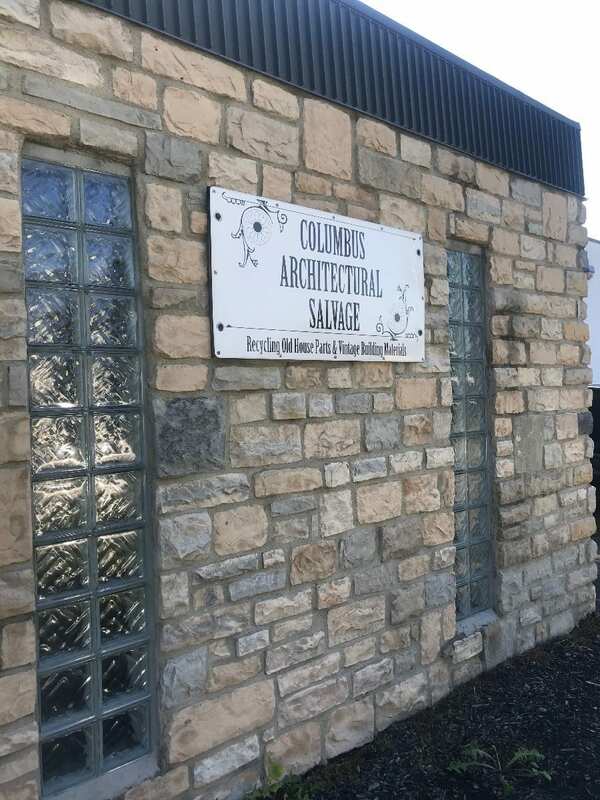 Columbus Architectural Salvage is located at 1580 Clara St, just behind the Fairgrounds. They’re open to the public Tuesday-Saturday 9am-5pm. Please note that all items are sold as-is and all items are final sale. 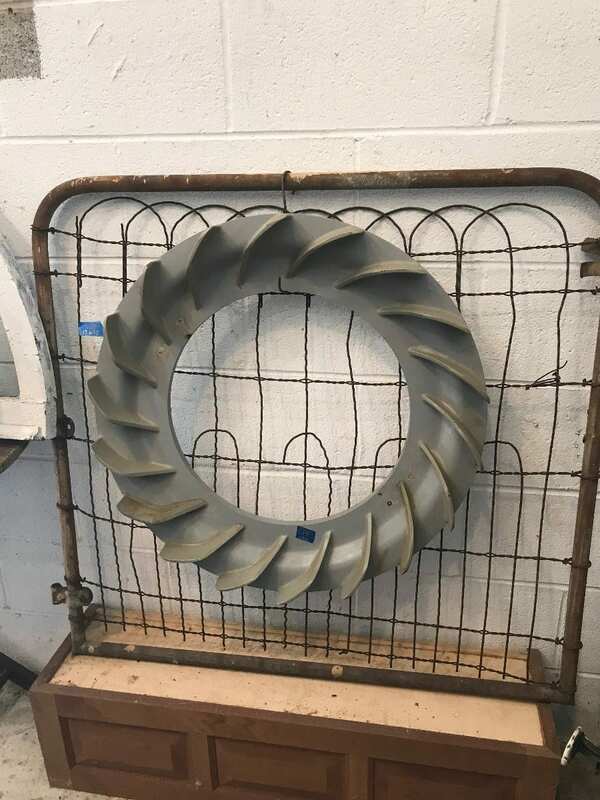 In addition to decor and upcycled pieces, they of course have lots of functional salvaged pieces, doorknobs and faceplates, register covers, skeleton keys, and more.